Green woodlands dress more than 22 million acres of the Alabama landscape, roughly two-thirds of the state. (Only Oregon and Georgia have a comparable abundance of forested acreage). Moreover, forest diversity in Alabama is greater than in any other region in the United States, with more than 200 kinds of native trees. These mixed forests consist of a great many hardwoods often thought of as emblematic of other regions: oaks, maples, hollies, elms and five species of buckeyes (Ohio has just two). Also abundant are softwoods and conifers - juniper, hemlock, cypress, and eight distinctive species of pine. As the official state tree, the longleaf pine was once among the most widespread species but decades of over-harvesting have reduced this graceful, fire-resistant tree to a mere remnant of its historical range. In ""Discovering Alabama Forests"", ecologist-educator Doug Phillips and photographer Robert Falls celebrate the current health and diversity of Alabama woodlands while sounding a call for their wise management and protection in the future. As population growth and urban development place new demands on forest communities, Phillips warns, advocates will succeed only if joined by a public spirit of appreciation for the state's rich forest heritage. 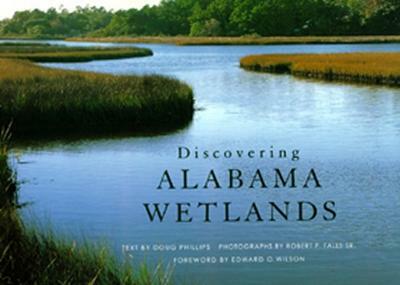 With 100 beautiful color photographs illustrating the meticulous text, ""Discovering Alabama Forests"" provides an informed and accessible introduction to the ecological, geological, and biological richness of Alabama's forests, their evolution through history, their contribution to the state's economy, and the modern perils they face. Buy Discovering Alabama Forests by Doug Phillips from Australia's Online Independent Bookstore, Boomerang Books.